The Best Cinemagraph Software Clipgraph / Flickgraph or Graphitii? Are you looking for the best cinemagraph software to help you create beautiful and engaging motion graphics? Look no further, I will save you the time and show you the only two tools worth considering. While you can create cinemagraps the long way using Photoshop, using a purpose-built tool like Clipgraph or Graphitii will save you a lot of time. What is ClipGraph you ask? 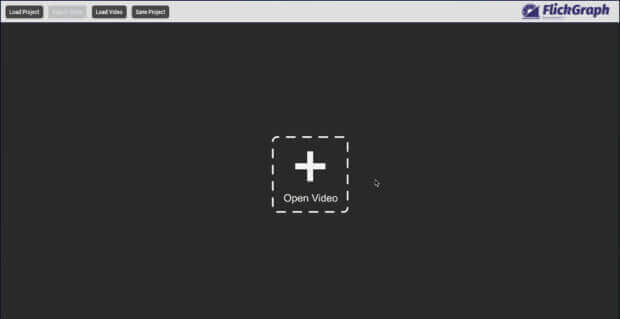 ClipGraph is a cinemagraph software available for both Windows & Mac users. Note: ClipGraph was previously called FlickGraph for those that are confused by this name change. In my opinion the best cinemagraph software available by far for creating cinemagraphs. In 2019 and beyond having a Cinemagraph App will be a vital part of any creative marketers toolkit! Cinemagraphs are one of the hottest properties in creative marketing, and there are a few tools out there that can create these animated images/looping videos, but few as easy and efficient as ClipGraph. In the past, the tools that could do this were few and far between and they came at a high price. You could also do it with Photoshop and video tools, but that was a complicated process that even a seasoned pro would find cumbersome. So if you have seen this kind of animated photograph online, in adverts and Facebook news feeds and were wondering how to create cinemagraphs then read on for the easiest approach without expensive tools and spending lots of time. Lately, a few new purpose-built tools have been released to make this task easier. The most notable I have seen so far is ClipGraph by the fantastic software team at Explaindio. However, if you prefer something that is hosted in the cloud and allows you to work from anywhere you might prefer Graphitii which also does an excellent job. Take a look at our example on the right-hand side of pouring water created from a few seconds of a video clip in just a few minutes of clicking. The header at the top is also a Cinemagraph however that one was saved as an MP4 and uploaded to YouTube so it could be used as a background. The water image is actually just an animated Gif. Graphitii is another purpose-built cinemagraph app that works on Windows, Mac and pretty much any other device because instead of installing software this tool runs in the cloud and can be used in your web browser. This tool comes from the experts behind Viddyoze a team renowned for producing innovative and high-quality creative tools. A cinemagraph is a still photograph where some part of the frame shows a minimal yet repeating motion which forms a looping video clip. These are commonly published as either an animated GIF or as MP4, MOV or AVI video formats. The seamless loop that can be achieved by being selective with the frames you decide to loop and which area you decide to mask creates the illusion of a never-ending video that is often between just 2 and 5 seconds looping infinitely. You can use a video or a series of photos to create a cinemagraph by compositing the frames into a seamless loop. The result is a beautiful juxtaposition between high definition stillness and a subtle looping motion. The phrase "cinemagraph" was first coined by photographers Kevin Burg and Jamie Beck from the USA who used this format to create eye-catching photos for their fashion campaigns back in 2011. So while the format has been around for a number of years it hadn't made it's way to the mainstream until several years later and now should be a tool in any photographer or videographers workhouse. Here are some of the best cinemagraph examples for you to get inspiration from. Cinemagraphs work by taking a short video clip that has been filmed on a tripod so the frame is still of a simple action like water pouring into a glass-like in our example above and placing a still photo over the top. Once you have done this you simply use an eraser tool to remove parts of the still photo which then reveals the looping video in the background. Having certain aspects still while others move and loop creates a fantastic effect. Why You Need to Use Cinemagraphs in your Social Marketing? Cinemagraphs are one of the most trending social media tactics to enter the spotlight in 2017 and they are popping up literally everywhere with no sign of that slowing down in 2019! By now I am sure you have seen these on at least one website, be it Twitter, Facebook, Instagram or a website these are generating considerably higher click-through rates on ads and social shares and that is why they are a must have. So now you know why you need to be using cinemagraphs it's time to find out where to get the source footage to use. Where To Get Cinemagraph Videos & Content? As a bonus, you can also join the ClipGraph Source Club which offers monthly videos in 4k that are created perfectly for use in cinemagraphs. This makes life a lot easier than having to plan and create your own video content or buying stock photography. Another option is to look online for free video stock websites such as Pexels where you can download 4k video content to use in ClipGraph. Currently, there are a few other tools that can speed up the process of making cinemagraphs. The first is Cinemegraph Pro from Flixel, though this costs nearly $200 for an annual license and there isn't a Windows version which is a big oversight on their part in my opinion. As we already mentioned Graphitii which comes from the team behind Viddyoze is offering an alternative that is hosted in the cloud and runs in your web browser instead of using software. The last option is to use Photoshop if you are already a user, this process isn't quite as tidy as using a purpose-built tool but still yields some surprisingly good results.